Each powder coating project is important to us and we work to provide you with quick turn around times on all powder coating jobs. 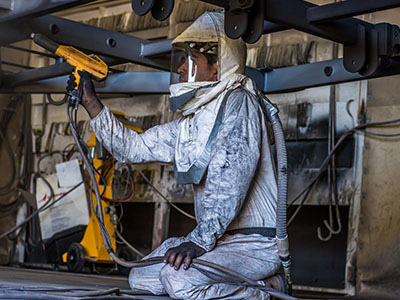 Quality Powder Coating is equipped with two large powder coating ovens that accommodate projects of all sizes while providing you with quick service. 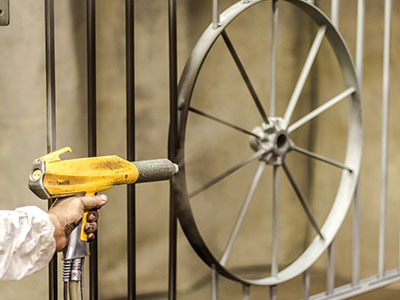 It is our mission to provide each customer with the highest powder coating on the market and this is accomplished by our high quality powder coating process. -Produces a smooth, strong finish that is resistant to moisture, chipping, scuffs, fading, and corrosion. -Twice as thick as the average paint. -Provides a weather resistant layer that allows for indoor or outdoor use all year round. -Powder coating is environmentally friendly. -Available in a large variety of vibrant colors. 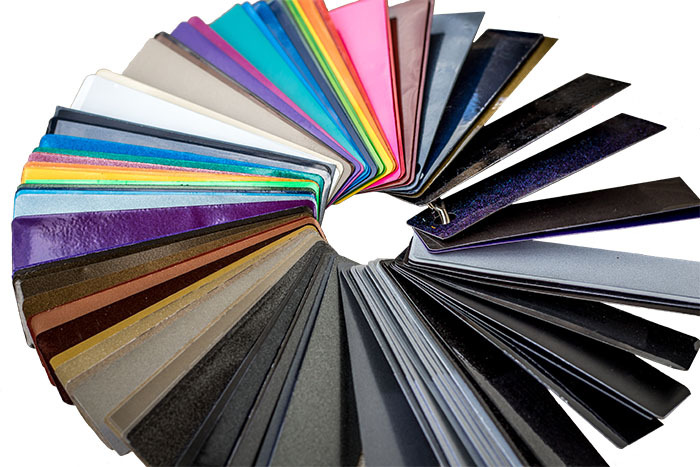 Quality Powder Coating has a large selection of powder coating colors for every powder coating project. Choose a neutral, warm color like our Oil Rubbed Wrinkle, or go bold with our daring Candy Blue powder coating color. Click the button below to checkout all of our color options. Step 1: Sandblast to a white metal finish to remove all impurities and add profile to the surface for better adhesion to the substrate. Step 2: Epoxy primer is used to create a mechanical bond between the metal and primer. 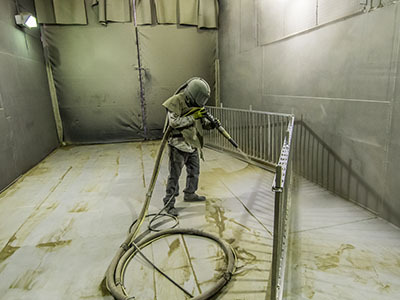 Step 3: The powder coat is applied to the metal with the use of an electrostatic spray gun. After it is coated, the item is baked at 400 degrees to melt the powder coat, creating a durable, smooth surface.